Larry introduces the lottery to Balki who buys his first ticket which seems to be a winner. A guy at work rubs Larry the wrong way and Jennifer cancels a date with him. 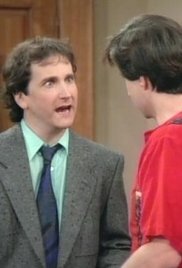 Gorpley decides not to give Balki his raise. They decide to join an assertiveness seminar. Larry tries to impress Jennifer by leading a river camping trip, but the girls will only go if Balki is assigned as leader. After the gang gets lost in the woods, Larry loses hope of ever regaining Jennifer's respect. Balki gets accepted into college...or does he? In this Christmas Carol parody, Mr. Gorpley is the Scrooge of the group and no one wants him at the party, but Balki insists. When Mary Ann moves away because of work, Balki falls into a depression. Larry suggests to get his mind of it is to get a hobby. And what Balki ends up doing is joining a motorcycle gang called the motor psychos. Larry and Balki write a story on info given to them by a source who wants to remain anonymous. But a judge orders them to reveal their source. Larry tells Balki they have to be strong. But in the end the judge sends them to jail. Balki plays matchmaker with Lydia and accidentally sets her up with a gigolo who intends to take her for all she's worth. Larry hatches a plan to reveal his true nature before it's too late. 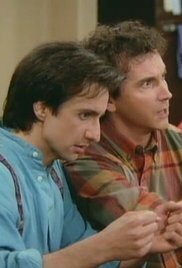 Larry learns that Mr. Gorpley won Balki's money in poker by cheating and tries to take him down and get Balki's money back. Larry is sent by the paper to teach an introductory journalism class sponsored by the paper at a local university. Balki decides to enroll. 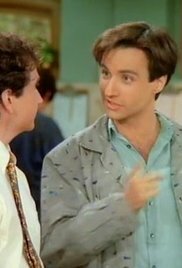 Larry sets very high standards and gives all of the students including Balki low or failing grades. Balki's mother sends him a birthday present from Mypos: a wife.